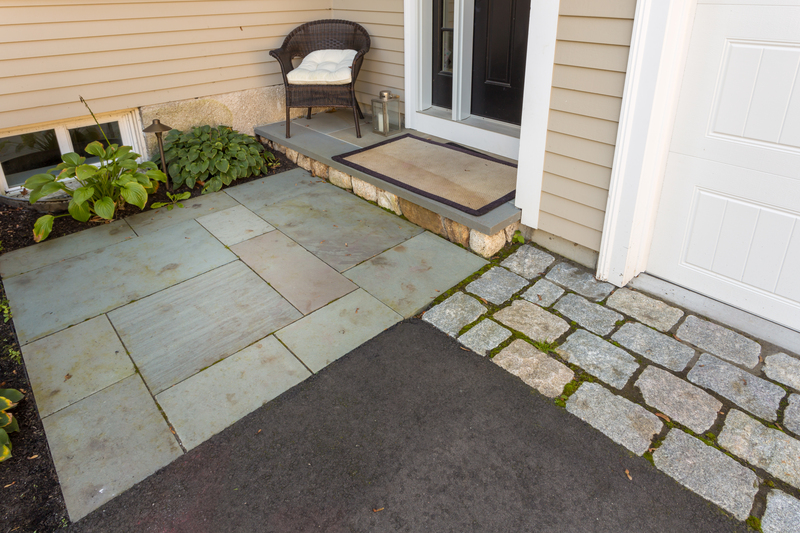 A complete front and back yard makeover, featuring a cobblestone driveway apron, irrigation, lighting, and bluestone walkways and patio. 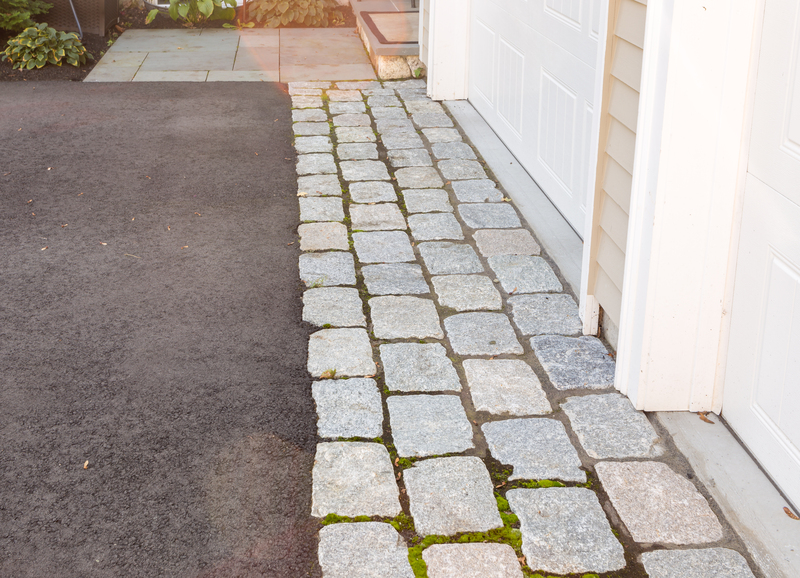 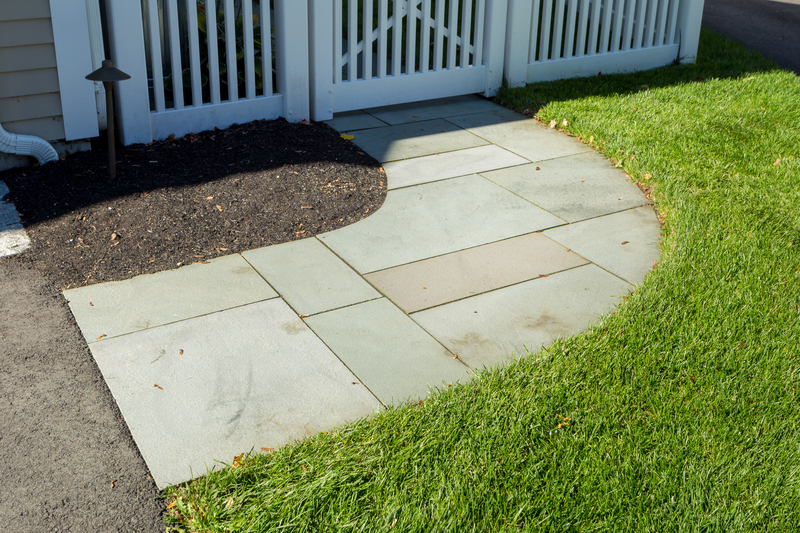 The cobblestone driveway apron nods to the colonial heritage of the home, while also connecting two bluestone walkways. 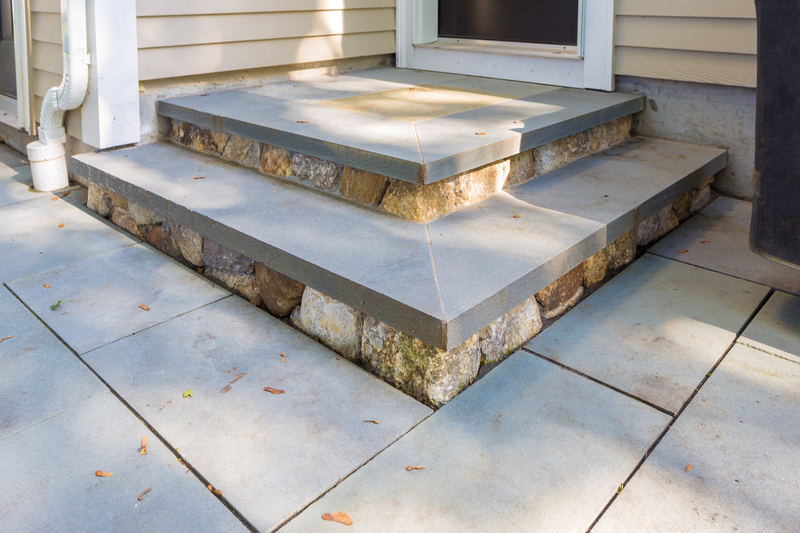 These walkways lead to the front and back doors, where large stone slab staircases welcome guests. 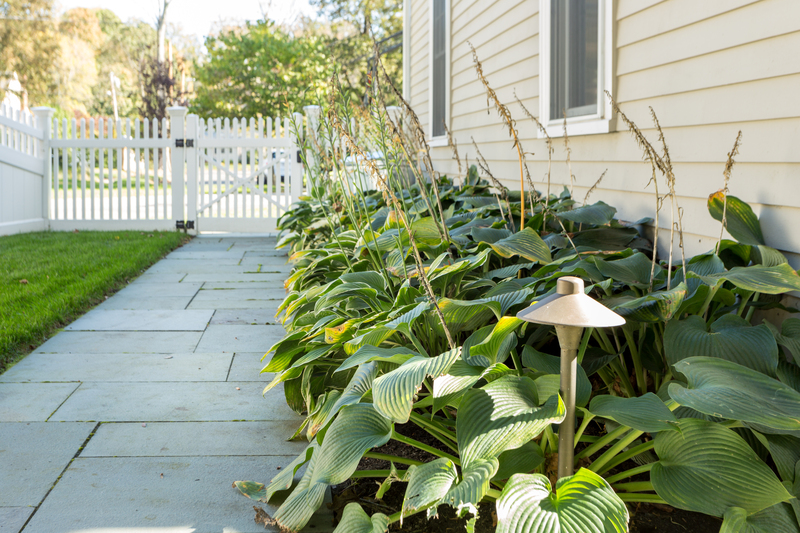 Through the white picket fences’ swinging gate, the well-lit path leisurely guides the way to a shaded back patio. 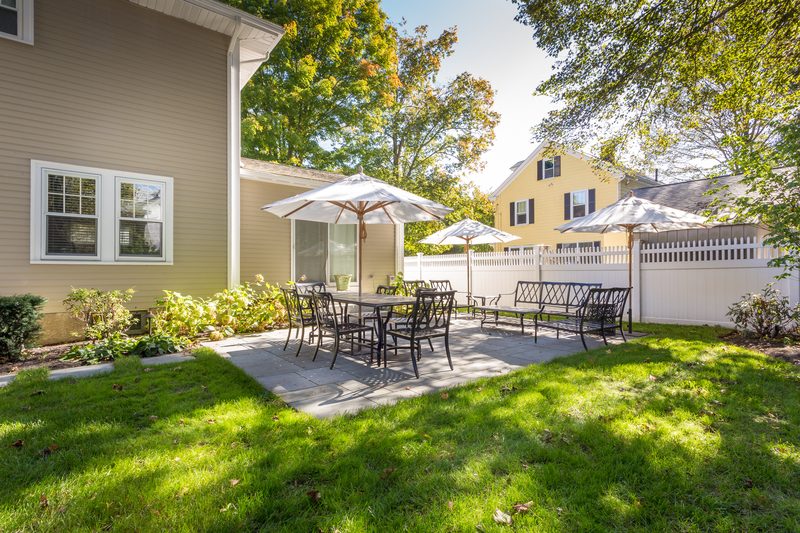 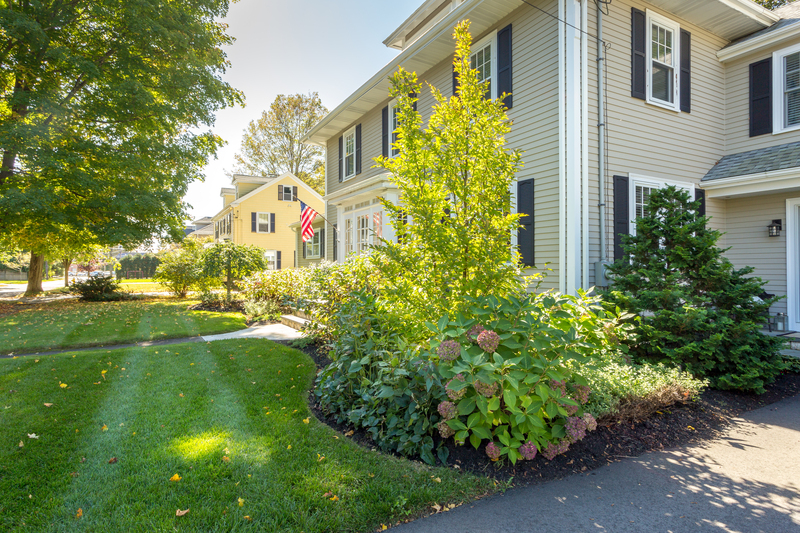 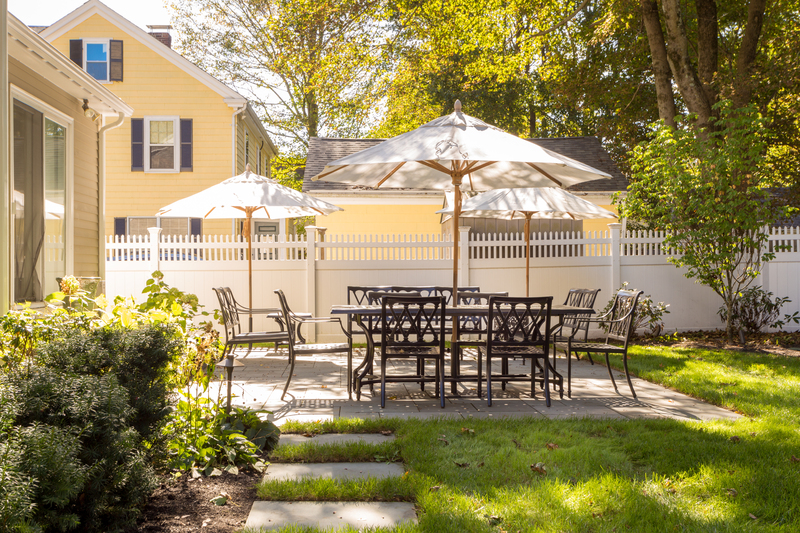 An efficient irrigation system caps off this Needham property, allowing the manicured lawn and gardens to thrive.